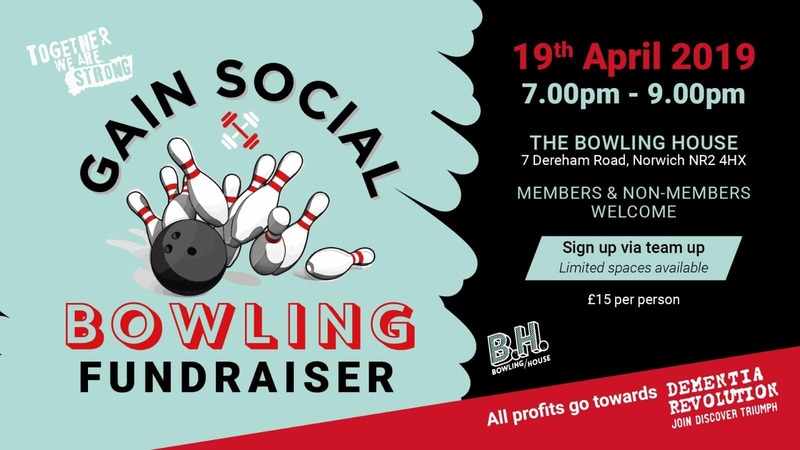 We have arranged a bowling night on the 19th of April at 7:00 pm to raise money for Dementia Revolution, very close to our member Laura Sides. Tickets are only £15pp and all profits will go to Dementia Revolution. Feel free to bring along partners etc, members and non-members are welcome. Tickets now available on Team up. So swap your gym shoes for some bowling shoes and let’s have some fun and help out a fellow member at the same time.